← What does Dalton McGuinty have against physiotherapists? If Ontario really wants to look at upstream investments to improve population health, it may want to pay attention to an unlikely source – the Law Commission of Ontario. The 166-page LCO report states that such work not only leads families to experience “the intergenerational costs of poverty,” but also impacts society at large. Unlike PC leader Tim Hudak’s drive to take labour rights in this province back to the stone age – or at the very least to Wisconsin – the LCO makes many constructive recommendations to really improve the lives of Ontario workers. Implementing many of these recommendations could have the two-fold effect of also addressing the social determinants of health. That should be a wake-up call to Health Minister Deb Matthews. Given the McGuinty government is now in its third term, it has few excuses not to finally address the mess made by the Harris government and bring about change to improve labour conditions in the province. The LCO report appears as a breath of fresh air amid all the gloom about beating back already stagnant workers’ wages to match those of the Chinese. Many of the recommendations center on making both employers and employees more aware of what is in the ESA, including a requirement that copies of the ESA be given to all new employees. Presently only a copy needs to be posted in the workplace. The incentive to hire low wage part-time workers may be gone if the government adopts the LCO recommendation that the ESA be amended to require all workers in equivalent positions to be paid at least at the same rate as their permanent full-time equivalents. The authors note that it is often single parents, women, racialized workers and recent immigrants who are more likely to find themselves in low wage part-time temporary work. The LCO suggests government work with labour, management and the insurance industry to explore options for the provision of benefits for non-standard and other workers without coverage. In France, for example, temporary agency workers and fixed term contract workers must receive an additional percentage of their pay to help fund employee benefits. Similarly the LCO recommends the government review personal emergency leave provisions in the ESA – for illness, injury, medical emergency, bereavement or family emergencies – to find ways of extending them to workplaces with fewer than 50 workers. After hearing stories of temporary workers receiving less than the minimum wage, or reports of unpaid wages and illegal fees charged by temp agencies, the LCO seems a bit limp in its recommendation that the Ministry of Labour continue its existing enforcement policies, placing “greater emphasis on proactive enforcement processes.” However, it does call for additional resources for such proactive enforcement. The report itself acknowledges that vulnerable workers in insecure employment are not well-placed to make complaints, taking on the Open For Business Act that imposes further obligations on many claimants before an investigation is commenced. That includes a policy requirement that employees take their complaint first to the employer (with few exceptions) before the Ministry will deal with it. The report also looks at the 15 per cent of the workforce that is classified as self-employed. The reality is many of these workers would be independent contractors to a company/agency, such as is presently common in home care. Getting paid a lump sum for their work, their true employer becomes exempt from payroll taxes and other obligations. For the worker, the amount is seldom enough to make up for the loss of basic provisions in the ESA, including statutory holidays and vacation. The report suggests that many of these workers are mis-classified and should be regarded as employees and afforded the rights that come with that status. The Commission also suggests that classes of these contract workers should be extended rights under the ESA. The Commission spends much its efforts looking at the issue of migrant workers. That includes recommending an expedited complaints process, health and safety training, the provision of mobile medical clinics and greater legal and other supports. They are also looking to unions and community groups to develop and expand services to support migrant workers to assert their legal rights and make claims, such as helping migrant workers to form associations given the unlikelihood a these workers being able to more formally organize under present legislation. Where there are vulnerable workers in temporary work, there are frequently issues around health and safety, which the Commission also addresses. Recommendations include proactive health and safety inspections in industries that employ vulnerable workers at high risk for workplace injuries. The report is far from perfect, and its attitude towards unions at times strange. For example, while higher rates of unionization would help pull workers out of poverty, the Commission dismisses the idea partly in a chicken-and-egg way noting the present slow decline in union density. 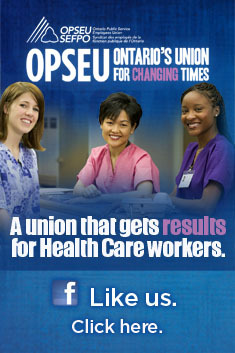 It also ignores legislative changes that have made it more difficult for workers to organize in Ontario. However, it is refreshing to see the Law Reform Commission take on the issue of precarious work at a time when the one per cent is attacking labour rights and pushing for an even greater divide between the rich and poor in Canada. To obtain a download of the full report, click here. This entry was posted in Uncategorized and tagged employment standards, ESA, Law Commission of Ontario; precarious work. Bookmark the permalink.